To The FORC OEM Product Line Our MINI2 OTDR With a 3 Year Warranty! Are You Leaving Jobs Unfinished? 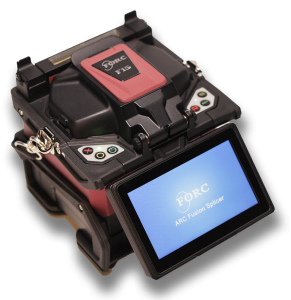 FORC Fiber is our own brand of OEM fusion splicers. We offer the F15 Core Alignment splicer, the F12 Ribbon splicer & the F1 Clad Alginment V-groove splicer. Our OEM fusion splicer are high quality, cost effective and serviced at our in-house service center. 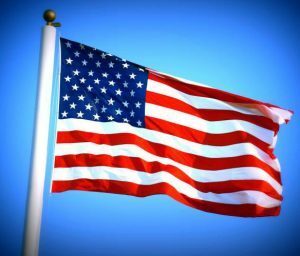 Buy FORC Fiber products and save. At FiberOptic Resale Corp we have a broad range of expertise on the most popular equipment saving you time, money and the inconvenience of sending your fusion splicers &amp; cleavers to multiple OEMs. Let us keep your fiber optic equipment operating like new. 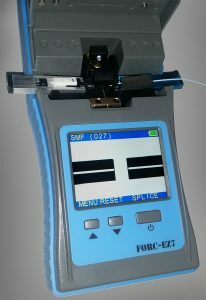 The EasySplicer FORC-EZ7 if our OEM fusion splicer. It's the first of its kind handheld portable V-Groove fusion splicer for FTTH installers, fiber installers, electrical contractors, training schools and more.